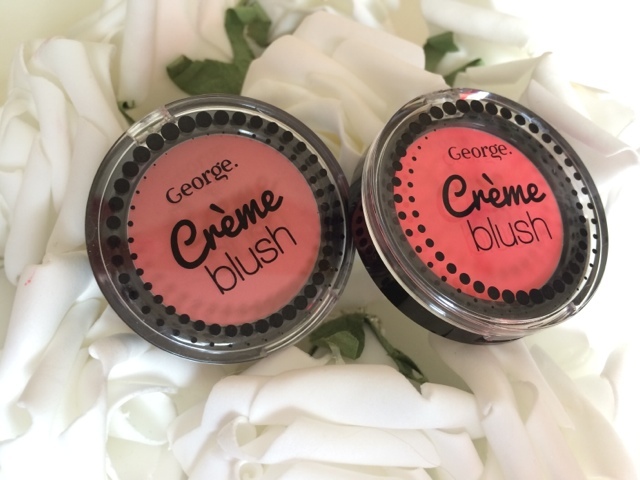 George Crème Blushes in Coral*and Pomegranate* both £3.00 from Asda Direct and in store. Swatch - Top left -'Coral', Bottom - 'Pomegranate' Top right swatches blended out. This time of year is when we like to add that dewy healthy glow to our skin and a lot of us opt for a crème as oppose to a powder blush to give us this much desired effect. George at Asda have extended their make up line and released some crème blushes into their collection. I have two to show to you today, shade No2 Coral and shade No4 Pomegrante. 'Coral' a gorgeous stunning bright pinky/peach shade, the perfect coral you could say and even though it does look quite scary in the pan sheers down to the most beautiful flushed finish. This is my favourite out of the two and would be excellent for Spring/Summer. 'Pomegranate' is a muted down pink with hints of warn brown and reminds me very much of a dusky rose colour. 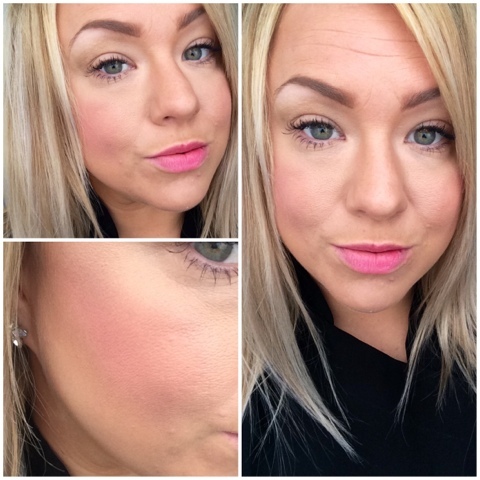 It may not look much in the pan but is very wearable and would suit almost anyone's skin tone and a great colour that can be worn all year round. 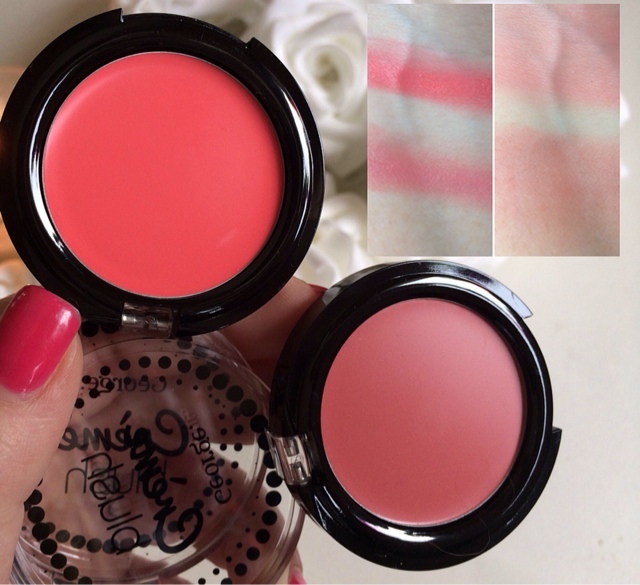 The formula of both of these is super pigmented and you only need a tiny amount to blend for a natural blush look. The blushes are incredible creamy and feel moisturising on the skin, delivering a gorgeous healthy sheen to the cheeks for a dewy finish. These are definitely not a crème to powder blush and can easily been worn on the lips as a lipstick for a hint of colour. Next time you're in Asda have a little nosey at these as they are well worth the mire £3.00 price tag and come in 4 beautiful shades, they have a bright pink called 'Marshmellow' which looks right up my street! 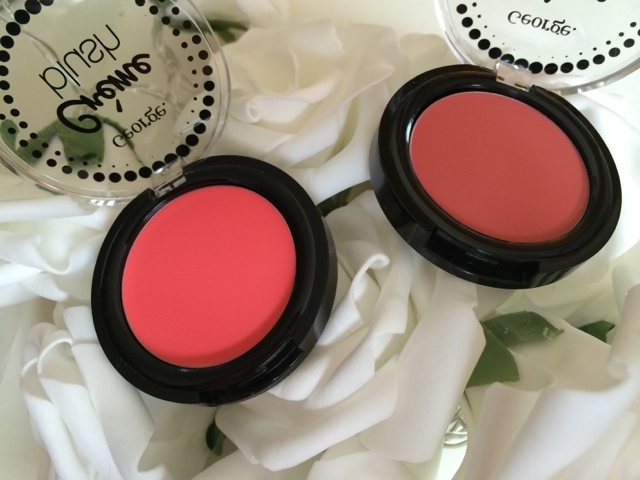 What are your favourite crème blushes? Have you tried these out yet?